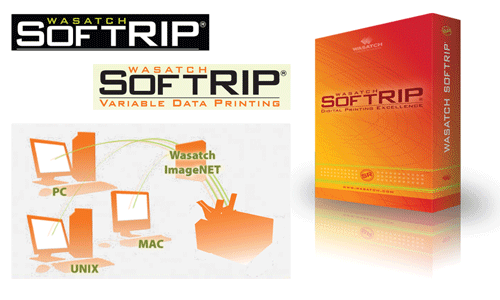 Wasatch SoftRIP Color Matching Software combines simple setup, intuitive operation and sophisticated features that save time, money and media. It's compatible with both the ColorMax7 and ColorMaxLP Digital Color Printers. Plug-and-play imaging configurations help users with setup, while intricate color controls provide unparalleled quality color output. Its exclusive Precision Stochastic Screens Halftone Method offers excellent color reproduction with perfectly smooth gradients. SoftRIP has the capacity to manage any print environment, because it allows users to drive up to four printers simultaneously, streamlining complex production runs. 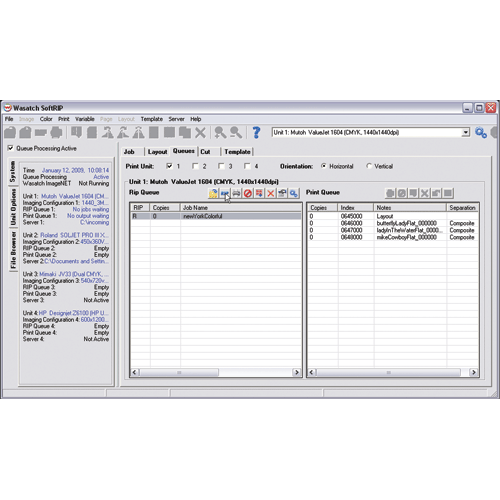 The Master Queues Manager helps control the real-time status of print jobs. 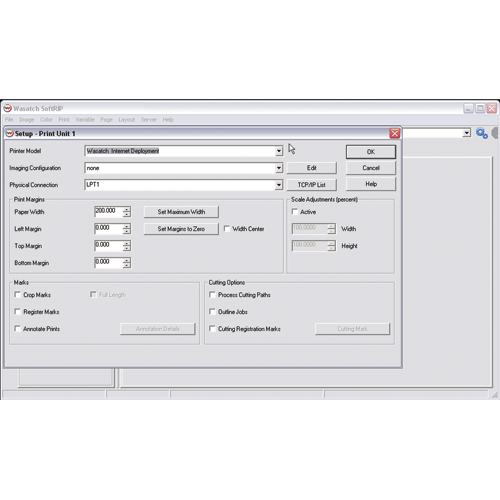 The money-saving Smart Nesting feature creates efficient page print layouts by combining RIP’ed files with new jobs to conserve media using Tightest Fit, Super Easy-Cut or a best-of-both option, which balances media and time savings with an innovative turn-and-trim layout. 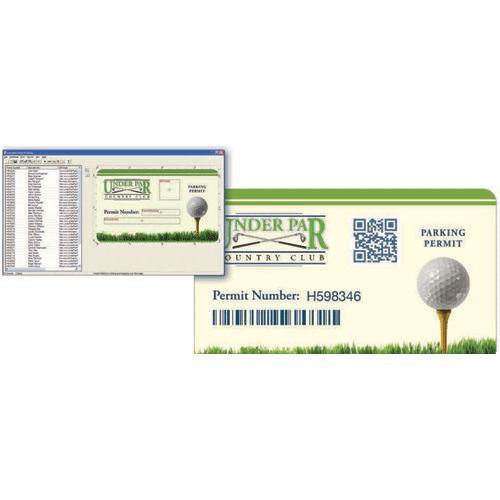 Variable Data Printing (VDP) is a convenient option which streamlines the production of customized print runs including envelopes, postcards, labels and more. 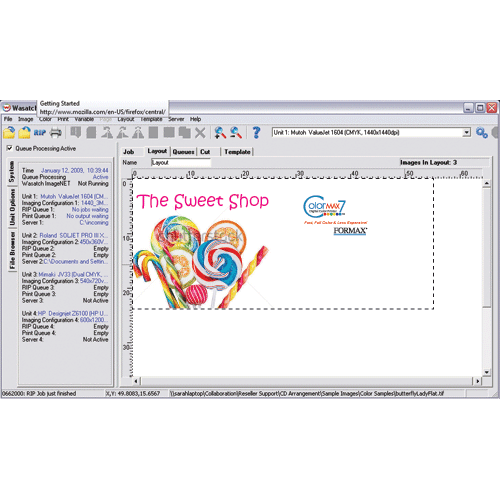 Print preview, batch processing and variable data templates create media- and time-saving print layouts.